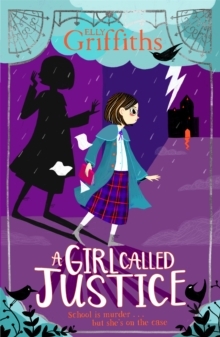 For a fearless girl called Justice Jones, super-smart super-sleuth, it's just the start of a spine-tingling first term at Highbury House Boarding School for the Daughters of Gentlefolk. For fans of Robin Stevens, Katherine Woodfine and Enid Blyton. When Justice's mother dies, her father packs her off to Highbury House Boarding School for the Daughters of Gentlefolk. He's a barrister - specialising in murder trials - and he's just too busy to look after her alone. Having previously been home-schooled, the transition is a shock. Can it really be the case that blondes rule the corridors?